Today the lectionary gives us Mark’s terse account of the crucifixion. Why so early? We haven’t even engaged the joyful and celebratory Palm Sunday celebrations yet. Worship planners are often flummoxed when coming to the Revised Common Lectionary to plan Palm Sunday celebrations. 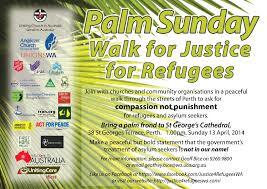 They are confronted with a choice – Palm Sunday or Passion Sunday. Either pull out all the stops on palm leaves and hosannas or focus on what happens afterwards, particularly the crucifixion of Jesus. Some will opt for celebration – shorter passage, less angst. Others, noting that many eschew the solemnity of Good Friday services, choose the longer passion narrative in order to present the completeness of the passion, crucifixion, resurrection story by the time the faithful return next Sunday (if they aren’t taking advantage of the extra long weekend elsewhere). Many get lost in the confusion and herein lies the challenge for contemporary Christian communicators. How to convey the drama of the Easter message, the core of the Christian understanding of inspiration, transformation and spent living in a way that entices and awakens a world that is mostly only half awake. 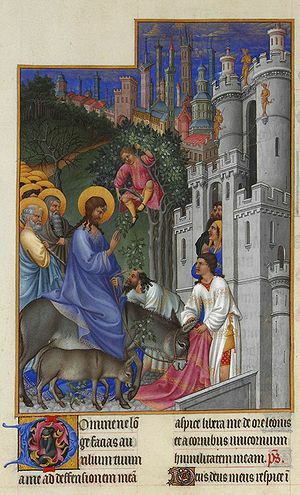 I found that local primary school children were very quick to link the reign of the Palm Sunday “Prince of Peace” with the values of the Sermon on the Mount – the term’s lessons on generosity, forgiveness, trust and peacefulness. I recall my adolescent “aha!” experience when linking the Vietnam Conflict Peace Marches with the Palm Sunday rites.